Sunday, June 16th is Father's Day, a day we celebrate father, papa, pops, dad, daddy, daddio, your old man and baby daddies (well, maybe), for their love, strength, guidance, humor and more... and don't forget those sugar daddies... they need love, too! Oh, I suppose godfathers should get some props, too. 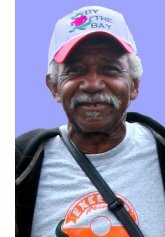 Maybe you'd like to put on some blues and soul and throw a party on the patio for a deserving daddio... or, you could even treat him to a festival! Remember, you can win some amazing things via our Facebook "Rewards Program like the Las Vegas "Sin City Soul & Blues Revival" package worth $1550, CD packages and more. ALSO... Musicians! You can signup to upload a YouTube of your fav song to be considered for our digital magazine theme song! See details this issue. You can also enjoy the magazine in digital format! Click on the cover at left to check out the online digital version! Congrats to our Top Fan this Week! One of our Top 25 Fans has a chance to win a "Five CD’s Package!" You too can win a set of 5 CD’s by Various Blues Artists by being one of our Top 25 Fans of the week! We will be selecting One Top Fan each week. 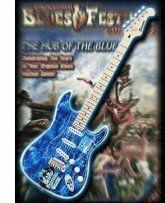 This customized electric from Scream Guitars is a playable electric guitar wrapped with the Blues Festival Guide logo. It features a solid body basswood...maple neck and rosewood fretted finger board, three single coil pickups and standard hardware. Our Top Fan of the month of June that will win the guitar will be announced on July 1st, 2013. *Be Our Top Fan for the Month of July for a chance to win the "Arkansas Rumble" painting! 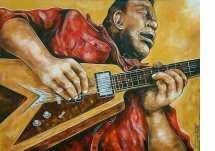 "Arkansas Rumble" is roots artist Lennie Jones' tribute to the late wonderful guitarist Michael Burks...It measures 22" X 28", acrylic on canvas. Original, never reproduced. Lennie can furnish a National Registry Certificate of Authenticity. "Michael was such a gifted intense humble master Blues musician whom I greatly admired on every level. I had met and painted the "Iron Man" several times and did this painting the week he passed away. 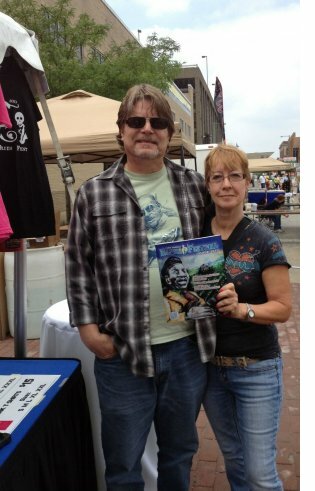 Photo is of the last time I saw Michael....Bluesed & Blessed, Lennie"
Our Top Fan of the month of July that will win the painting will be announced on Aug 1st, 2013. Go to our Facebook Page "Like" us and click the Rewards button. Attention Musician/Bands - Your song could be the theme song on our Digital Magazine! 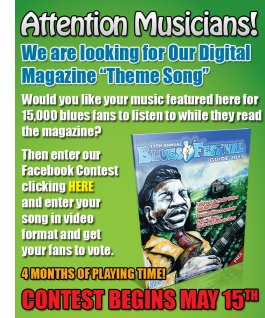 LIKE" us at Facebook.com/BluesFestivalGuide, "and then click on "Theme Song Music Contest" to enter your video. Then direct your friends/fans to the contest page where they'll click the "vote" tab to see all the videos and be able to vote for you. The Artist's song with the most votes receives Four Months of having their song featured as our digital magazine theme song which is linked from our Top Ranking Blues Website www.bluesfestivalguide.com The Artist and Song with the most Votes Wins! Who may enter: This contest is open to anyone 18 years old or older. See complete rules at the official entry form. 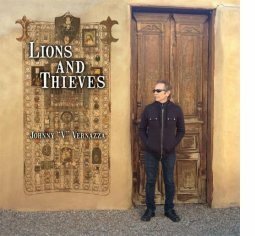 Slide guitar master, Johnny “V” Vernazza has just released his second solo album, Lions and Thieves. Best known for his work with the Elvin Bishop Band in the 1970’s that led to 6 albums, Gold Records, endless touring and the #3 song in the nation by 1974, "Fooled Around and Fell in Love, Vernazza has also played guitar with some of the biggest names in music, from Van Morrison to the Grateful Dead. Vernazza has spent decades on stages big and small around the world, honing his craft and this album is the culmination of that experience. Now more than a decade into his solo career, his new album, Lions and Thieves, delivers on the promise of a lifetime in music. Ten of the 14 tracks are penned by Vernazza plus one co-wrote with keyboardist, Mark Bentley. Ably backed by bassist Jim Reeves, drummer Brian Cantrell and keyboardist Mark Bentley, the album’s 14 tracks cover a lot of ground. Indeed, Vernazza may be considered to be one of the finest blues and slide guitar players going today, but his sound is expansive. Vernazza's blues varies, from the sweet soul-edge to rockin', to down and dirty and always "slidin'." While the albums core group are all seasoned veterans, Vernazza also called in a few friends like Elvin Bishop, Charlie Daniels and Albert Lee to help in the creation of Lions and Thieves. There's something for everyone here. Blues, roots, rock singer Kristen Thien, delivers her first solo album. 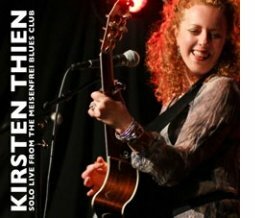 Accompanied only by her guitar, Kirsten Thien Solo Live from The Meisenfrei Blues Club, was recorded in Bremen, Germany and features a compelling and eclectic mix of solo acoustic arrangements. Songs run deep in Thien's catalog and branch out into fun covers of Bob Dylan, Sippie Wallace, Elvin Bishop, Bill Withers, B.B. King, Freddie King and even Sheryl Crow. The Summer of 2013 will be known as the Summer of Music in Jackson. 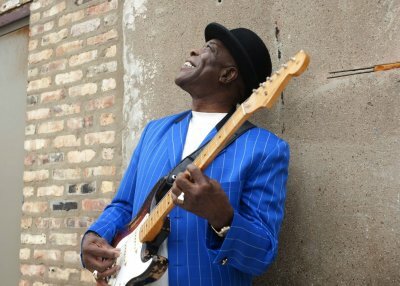 With the overwhelming popularity of six-time Grammy Award Winner and the 2012 Kennedy Center Honors recipient Buddy Guy, this premiere artist will headline the Jackson Rhythm and Blues Pre-Festival Concert at the Mississippi Coliseum on Friday, July 19th, 2013. Joining Buddy Guy will be Rock and Roll Hall of Famer Percy Sledge. Kicking off the evening will be Canadian International artist, Shakura S’Aida and Grammy nominated and Blues Music Award Winner, Ruthie Foster. Tickets for the Jackson Rhythm and Blues Pre-Festival Concert are $30, $45 and $60 and are available through Ticketmaster and the Mississippi Coliseum Box Office. The Jackson Rhythm and Blues Festival will premiere on the grounds of the Mississippi Agriculture and Forestry Museum on August 16th and 17th, 2013. The event will be headlined by six-time Grammy Award Winner Dr. John and the Nite Trippers and the hit making music band, Mint Condition. This two-day festival will feature over 30 of the best rhythm and blues artists assembled in the Southeast. Click here for the complete lineup of the Jackson Rhythm and Blues Festival and more information or Facebook and Twitter. Click here for more information on the Jackson Convention & Visitors Bureau, or 601-960-1891. LOS ANGELES – Teen trio Chase Walker Band are too young to drive their tour bus, but they play the Blues like old souls. Out of hundreds of bands that submitted to the L.A. County Fair’s Battle of the Bands, the group was chosen as one of eight finalists and earned a spot to perform at this year’s Vans Warped Tour in Pomona, California on June 20. The Chase Walker Band preserves the Blues timeless style while propelling it forward. Lead guitarist/vocalist Chase Walker, age 14, channels the spirit of his influences Warren Haynes, Joe Bonamassa and Stevie Ray Vaughan pouring out haunting guitar licks and soulful vocals well beyond his years. Not bad for a young man who first picked up a guitar just three short years ago. Backing Walker are drummer Matt Fyke and bassist Randon Davitt, ages 14 and 15. Fyke ushers a white-hot rhythm section akin to John Bonham and Mitch Mitchell, while Davitt, on Bass, brings a funky upbeat energy to the band. One thing all three have in common is a commanding stage performance that belies their youth. “You know the Blues is alive and well," Walker said about the upcoming gig, "when you think about thousands of kids in this huge festival enjoying the Blues, some for the first time, that’s pretty cool.."
The Chase Walker Band performs in front of 15,000+ Vans Warped Tour attendees on June 20, 2013 in Pomona, California. The 2013 season of Blue Star Museums is off to a fantastic start with more than 2,000 art centers, museums, and exhibits offering FREE entrance for all active duty, National Guard and Reserve military personnel and their families (up to five members) from Memorial Day through Labor Day. 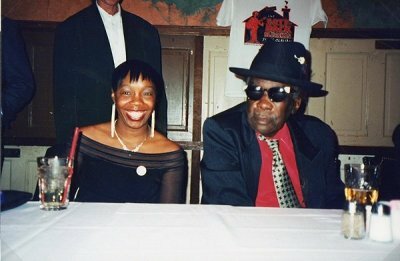 The Delta Blues Museum and B.B. King Museum are participating as well as the Stax Museum of American Soul Music in Memphis, TN. 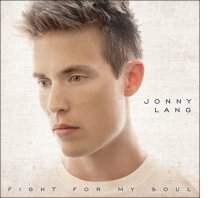 Bman's Blues Report - It’s been seven years since Jonny Lang released a new studio album, but the wait is almost finally over. Lang has signed a new recording deal with the Mascot Label Group and will release “Fight For My Soul” - the follow up to his Grammy Award Winning 2006 album “Turn Around”, in the UK and Europe on Monday 2nd September. Jonny will be in London 25th-26th June for interviews and will perform a rare concert at the London Borderline on 3rd October - his first UK concert in over a decade. 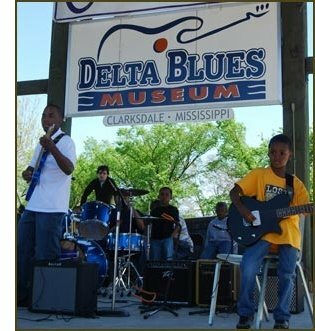 CLARKSDALE, MS - The Delta Blues Museum's Arts & Education Program has been chosen for recognition as a 2013 National Arts and Humanities Youth Program Award (NAHYP) Finalist for the museum's work in providing "rich arts and humanities learning opportunities to young people." The awards program is an initiative of the President's Committee on the Arts and Humanities (PCAH). The President's Committee partners with the Institute of Museum and Library Services (IMLS), National Endowment for the Arts (NEA), and the National Endowment for the Humanities (NEH) to administer the program. weekend was a triumph of music and cultural experiences. 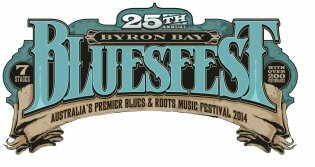 Heralded as "The Best Ever" in its 24 year history, Bluesfest saw over 128 bands deliver nearly 200 performances on seven stages! Over 104,000 attendees enjoyed the music extravaganza as well as 51 market stalls and 43 food stalls, handpicked for their locally produced, organic and sustainable wares, Q&A’s with the artists, a roving lantern parade, kids activities and dance performances, turning the Bluesfest 2013 into an unforgettable 5 day fiesta experience. So who and what now for 2014? Well it’s onwards and upwards as Bluesfest celebrates its 25th Anniversary with a line-up potentially bigger than ever before. Our Bluesfest audience thinks so too .... with over 40% of tickets already sold. One thing is for sure, Bluesfest NEVER rests on its laurels. 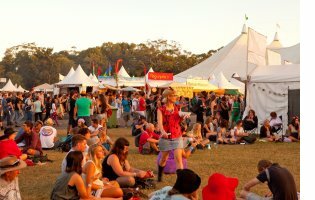 We're always looking to bring the best of blues, roots, rock, reggae, soul and jazz to the Bluesfest spiritual home at the Tyagarah Tea Tree Farm, Byron Bay, Australia. Here's the link. If you experience problems signing up for the waitlist online, you may also call our office at 816-753-7979. BUT... you will be able to secure a higher spot on the list by using the online system as the phone lines become very busy so it becomes difficult to get through right away. Thank you in advance for your patience! For the fourth year in a row, the Topeka Blues Society will present a stellar line-up of internationally-renowned artists at its Spirit of Kansas Blues Festival at Lake Shawnee, Reynolds Lodge, (3315 SW Tinman Circle, Topeka, Kansa), Thursday, July 4th. There is no admission charge for the festival which will start at noon and present continuous music between two stages until 9 pm. The traditional fireworks spectacular will occur after dark. They say the apple doesn’t fall far from the tree. Well, let’s find out shall we? Celebrate Father’s Day by giving a listen to Blues fathers, sons and daughters. Dads… sons…daughters. A Father’s Day celebration, next time in The Bluesmobile.